Plan your garden with this at-a-glance monthly printable! Assign different tasks such as adding compost, planting, and fertilizing to the week or to the day — whichever best fits your schedule or your planning style. 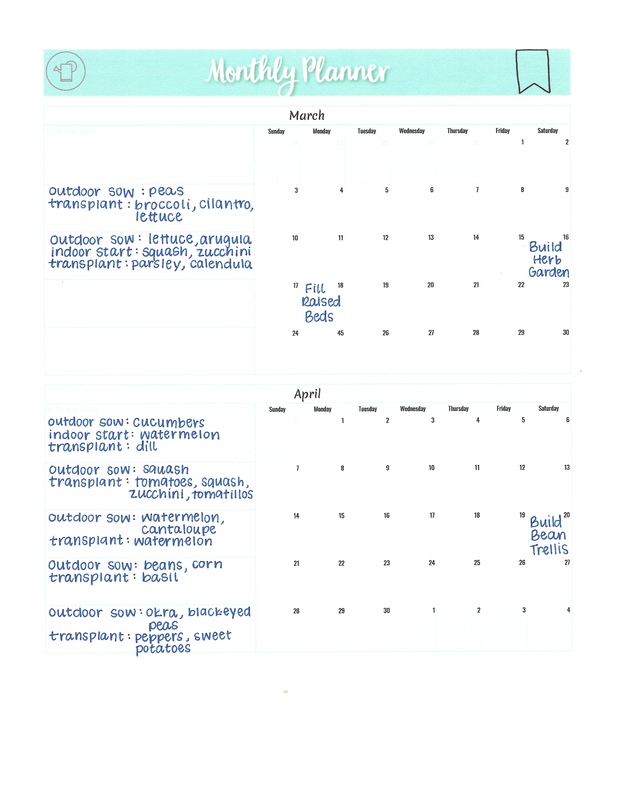 Plan your garden with this at-a-glance monthly garden planner printable! Assign different tasks such as adding compost, planting, and fertilizing to the week that fits your schedule. Use the monthly calendar section to journal the day the task was completed, or plan specific tasks for specific days. It’s easy to get your garden tasks completed when you can plan them by week ahead of time — even for the entire season at once if you prefer!